This is a tragic story of betrayal at it's lowest .. 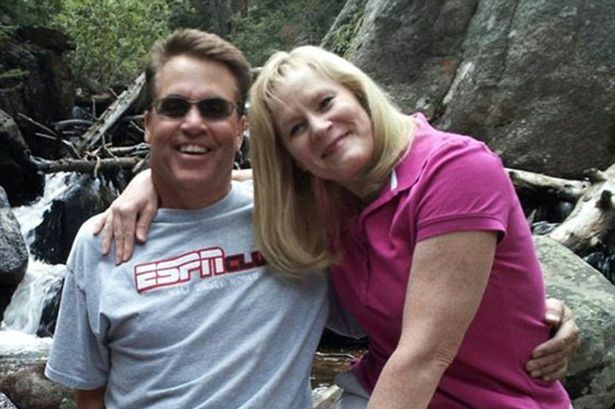 When Harold Henthorn’s first wife Lynn was killed in a tragic accident, which saw her crushed by the couple’s car, there was a rush of sympathy for the grieving widower. Despite there being no witnesses to the tragedy, no one questioned his version of events. But 17 years later, when his second wife Toni plummeted to her death off a cliff , there was only disbelief. To lose one wife in a freak accident was tragic – to lose two was downright suspicious. Both women had been killed during the 12th year of their marriage in freak accidents at remote scenes while alone with Harold. And if Toni’s death had been a fluke fall during a romantic hike, why did Harold have a map back in the car with an ‘X’ marking the exact spot where she died? 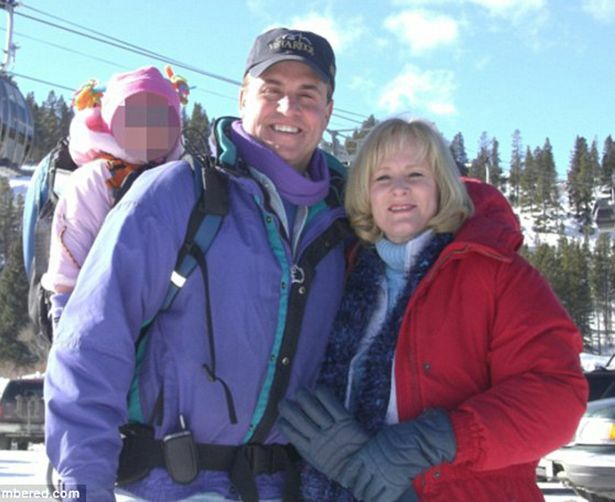 In 2000, Harold Henthorn married eye doctor Toni Bertolet after they met on a Christian dating website. Friends and family were delighted for the pair, who seemed to be the perfect match. Toni was divorced and had found her second chance at love – while many believed Harold deserved happiness after his tragic past. Five years later, Harold and Toni were married and living in Denver, Colorado, and had a daughter, Hayley. Entrepreneur Harold was busy raising money for charities and non-profit organisations. Toni’s career was a success and she had a stake in her family’s oil business – but she started to lose contact with loved ones back home. It seemed to always be Harold who answered the phone. In 2012, the couple were heading towards their 12th wedding anniversary and Harold enlisted the help of Toni’s colleagues to arrange a surprise trip to Rocky Mountain National Park. It was an odd trip – Toni had bad knees and hiking wasn’t a passion, but it seemed like a romantic gesture. On September 29, Toni and Harold hiked for a while before going off the trail to some rougher terrain. The couple took photos and selfies as they enjoyed the view… then tragedy struck. Harold dialled 911 to report that Toni had fallen 130ft off the edge of a mountain while taking a photo. "I’m in Rocky Mountain National Park and I need an Alpine mountain rescue team immediately," he said. He told them they needed to send a paramedic by air. "It’s going to take at least an hour to come up that trail," he said. "I will pay any and all expenses for a helicopter." But the terrain was too rough for a helicopter. Harold hiked 45 minutes to reach Toni and the operator talked him through CPR. She had serious head injuries and her breathing was getting weaker. When the rescue team arrived, there was nothing they could do. Toni, 50, was dead. "My bride has gone," a grieving Harold told friends and family. The words sounded familiar to them – they were the exact words he’d used after he lost his first wife. And just like he’d done with Lynn, he had Toni cremated within days before her memorial service. The ashes were even scattered in the same place. police received a number of tip-offs suggesting her death wasn’t an accident. Then they found something astonishing. Inside Harold’s car was a map, and at the spot Toni had fallen off the edge, there was a hand-drawn ‘X’. After failing to come up with an explanation, Harold eventually claimed he had been highlighting a good trail to hike. Investigators weren’t so sure, especially with the similarities to Lynn’s death. Both times, Harold was the beneficiary of large life insurance policies. Lynn’s had been worth £350,000 – Toni’s was worth millions. After Toni’s death, police looked more closely at Harold and found out the ‘successful businessman’ hadn’t worked in over a decade. There was no record of any work with charities – no colleagues, no clients. Harold was now the prime suspect, but it took until November 2014 before he was arrested and charged with Toni’s murder. No eye witnesses, no confession… would there be a conviction? At Harold’s trial in 2015, the prosecution said he’d carefully planned Toni’s murder to cash in on the life insurance that was worth £3.3 million – and had even checked out the area nine times before the hike. Toni was clueless about the three policies on her life. After the fall, paramedics noticed that the £20,000 diamond from Toni’s wedding ring was missing, but her hands weren’t damaged in the fall. There was also a camera near her body. If Toni had been taking photos before her fall, like Harold said, the camera would have crashed down with her. It was intact. 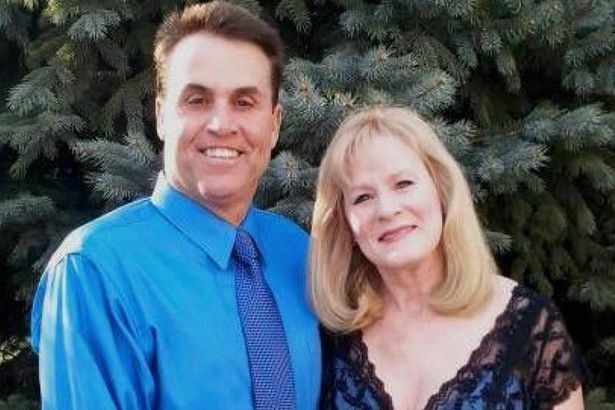 In September 2015, Harold Henthorn, 59, was found guilty of first-degree murder. Three months later a judge enforced the mandatory life sentence without chance of parole. "I did not kill Toni or anyone else," he insisted, adding that he loved his daughter Hayley.